Facebook Ads | Let's Biz Up! There is a lot of fuzz going on lately about changes Facebook made to their timeline algorithm. People are saying Facebook is dying because of the new restrictions on the news feed & the supposed drop in Reach. Making a Living Off Facebook Traffic! Whole industries of people are furious with Facebook because it has suddenly made marketing their businesses much harder. But some small business owners say the people in those industries have only themselves to blame. How Facebook Is Using Your Photos in Ads. Much has been written regarding Facebook‘s new “Statement of Rights and Responsibilities” policy — the company announced changes to it a few weeks back in the wake of a class action lawsuit settlement at the end of August. Last Wednesday June 12, Facebook #hashtags were officially announced by Facebook. But before you run off and experiment with the new feature, know that it is still in roll out and not everyone has the Facebook hashtags feature. Users can now use hashtags in their status updates and in their comments. When you use a hashtag it connects you with people who are also talking about the same subject used in your hashtag. For example, I’m a big fieldhockey fan and when I type a status update and wants to see who else is talking about fieldhockey, I can simply write an update to include #fieldhockey and then click on that link to view who else is talking about fieldhockey. 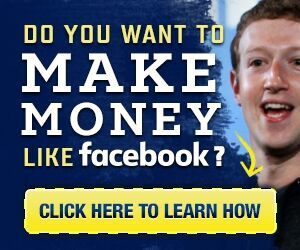 How to place Legit Ads on Facebook! You might have heard that Empower Network among others was banned from Facebook ads. Is that true? If so, how are you supposed to advertise your Empower business? First of all, you should know how advertising works. You place ads to get people to enter, to opt-in to your lists = Leads. Then you send out emails promoting your opportunity to your lists. That opportunity can be Empower Network, or any other opportunity for that matter. Leads are still NO sales… don’t get these things mixed up.